If you had to choose a genre to describe this series—on the spectrum from Cozy to Noir—what would you call it? How important is genre to you? A bookseller in Vancouver (shoutout to PaperHound Books) wrote me a line better than I ever could have. She said my work is: ‘semi-hard boiled rock n roll pulp noir’… and I’ve loved her ever since. As a writer I write the story–you label her as you see fit. I was the same way with music; never mind the genre just listen to the tune baby and tell me if you dig it! As a reader, beyond pointing me in a certain direction in a bookstore, I don’t really care about genre description. I don’t mean to diminish or be flippant, it’s just my rough and tumble, rock n roll attitude. 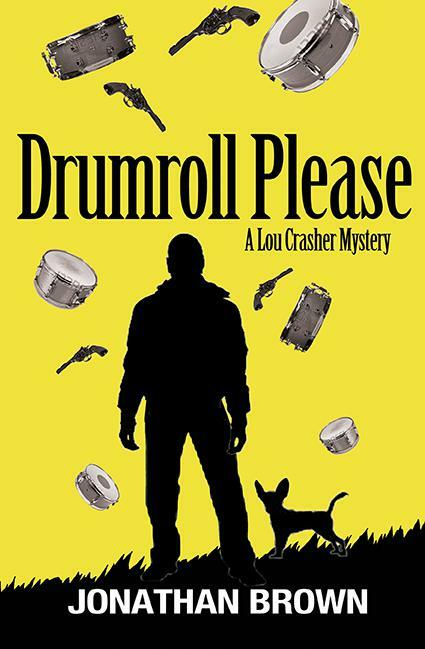 Lou Crasher is a drummer, like you. 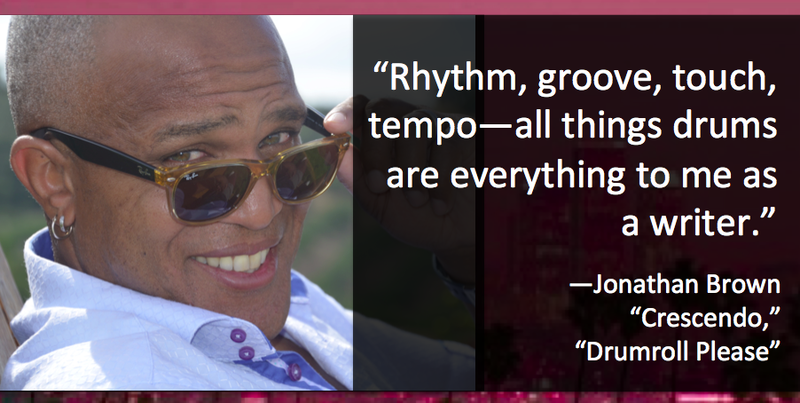 How does your sense of timing and rhythm as a musician influence your writing? Pound for pound this is the best question of all time, thank you! 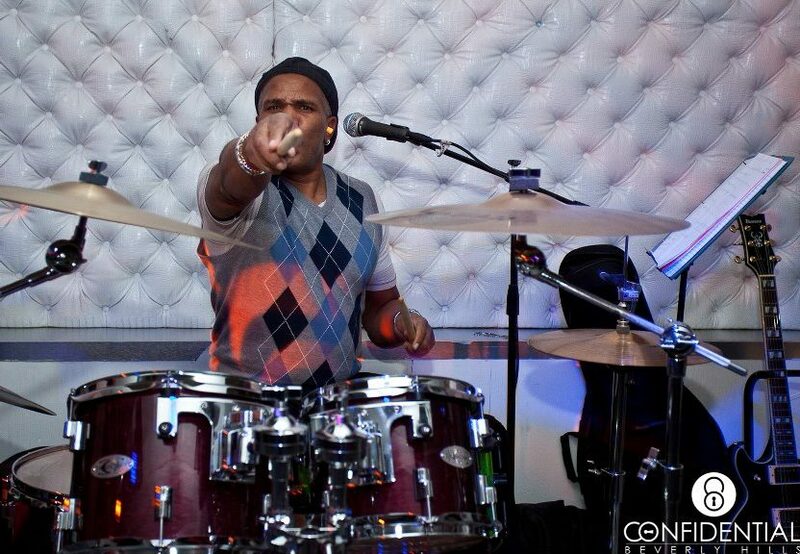 Rhythm, groove, touch, tempo—all things drums are EVERYTHING to me as a writer. It’s why I read my stuff out loud. Now I’m talking paragraphs and pages here. On a larger scale I look at the entire book as a song with verses, choruses, bridges, guitar solos, (and maybe a drum solo). 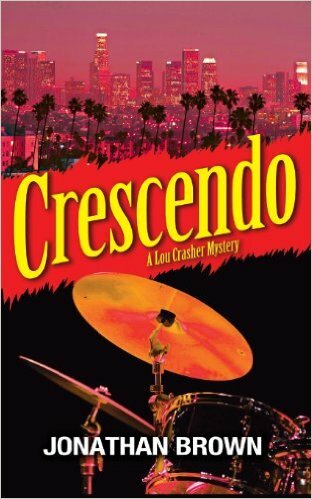 CRESCENDO is a mid tempo rock song with a big drum solo/ guitar/bass shred session at the end. DRUMROLL PLEASE is an up tempo rocker with fewer chord changes with (yet again) a big drum solo/guitar/bass shred etc. finale.Did I thank you for this question yet? Why did you choose to self-publish your novels? What are the benefits to self-publishing? What are the challenges? Years ago I sent an early version of CRESCENDO to agents and got the ‘not a chance pal’ letters. After cleaning up the manuscript I just wanted to get my book out there because I actually had DRUMROLL PLEASE nearly done. 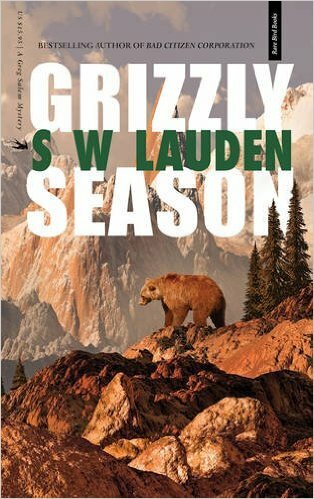 So that is one advantage to self publishing; you’re able to release at will. What really blows is limited distribution and the solo marketing gig, ugh. Who are some of your favorite P.I. characters/authors? Who is your writing most often compared to? As far as T.V., I’m a big Jim Rockford guy and funnily enough so is Lou Crasher. I dig Chester Himes’ Gravedigger Jones and Coffin Ed Johnson. Also Walter Mosely’s Easy Rawlins and Mouse characters. At about age 10 I was knocked out by Chandler’s Philip Marlowe and Hammett’s Sam Spade. When asked I tell people that my writing is similar to Elmore Leonard…However, I’ve yet to find anyone who agrees with me. One cat compared me to Joseph Wambaugh. I remember digging “The Choirboys” movie in the 70’s so I’ll take the comparison. What is your favorite drummer joke? I’ve never really heard a good drummer joke, but that’s probably because they’re written by lead singers. OH! See what I did there?!? What other publishing plans do you have for the rest of 2017 and beyond? Glad you asked. I’m working on two Crasher books. Once they’re done I’ll master the art of query letter writing and go traditional. I’m gettin’ me an agent, Steve. Two books and an agent all in 2017? Am I nuts? No, I’m just an ambitious scribe who doesn’t know any better! Can ya dig it? I thought you could. I also have met Jonathan at the bar and he really is bigger than life and a whole lot of fun.I can’t wait for the next two Lou Crasher novel to come out. Hey William you are too kind cat, thank you! He’s MUCH larger than life! Coolest kat I know. Big bad Chuck you are too kind Bubba. Cheers!